Mercy Begins at Home: Saints and Scripture Sunday - The Kennedy Adventures! And as he sat at dinner in the house, many tax collectors and sinners came and were sitting with him and his disciples. When the Pharisees saw this, they said to his disciples, “Why does your teacher eat with tax collectors and sinners?” But when he heard this, he said, “Those who are well have no need of a physician, but those who are sick. Go and learn what this means, ‘I desire mercy, not sacrifice.’ For I have come to call not the righteous but sinners. Like most perfectionists, I’m incredibly hard on myself. Don’t let the word perfectionist fool you. Instead, I set lofty goals that even a saint would have a hard time fulfilling. Spiritual goals, parenting goals, marriage ideals, you name it. I try to achieve the impossible, then I’m paralyzed by my lack of progress. I don’t show myself any mercy. When I contemplate the amazing depths of Jesus’ mercy today, on Divine Mercy Sunday, I’m reminded of this quote from Blessed Theresa of Calcutta. God doesn’t call us to be successful. He calls us to be faithful. God’s mercy is infinite, despite our imperfections. Perfect people would have no need for leaning on Christ. Perfect people wouldn’t need to die to self, in order to follow Christ. Contemplating this, I’m glad I’m not perfect. I’m forever grateful for my failings, that lead me to depend more and more on Christ’s mercy. 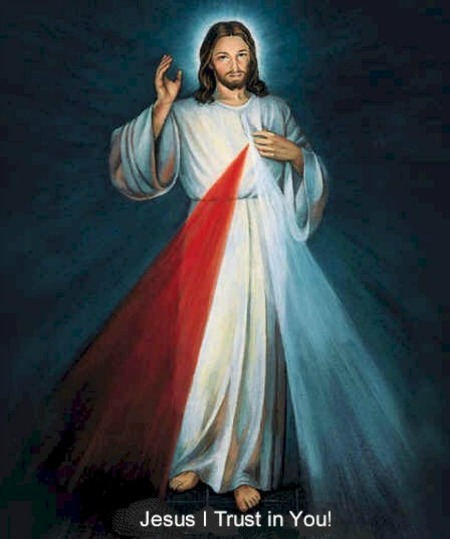 Wonderful reflection for Divine Mercy Sunday. Accepting the reality of mercy … powerful.